I am taking this dip into food blogging not so much by giving you a delicious recipe, but by inspiring you with a shortcut that not only produces something delicious but also cuts down on dishes and time! Behold the egg-sandwich– or, rather, the eggy part you can put in a sandwich. Normally, this would take quite a few steps necessitating several dirty dishes. You would break the eggs into a bowl to make them fluffy, stir with fork, pour into a pan and perhaps use a mold to get that perfect round shape, and use a spatula to remove. 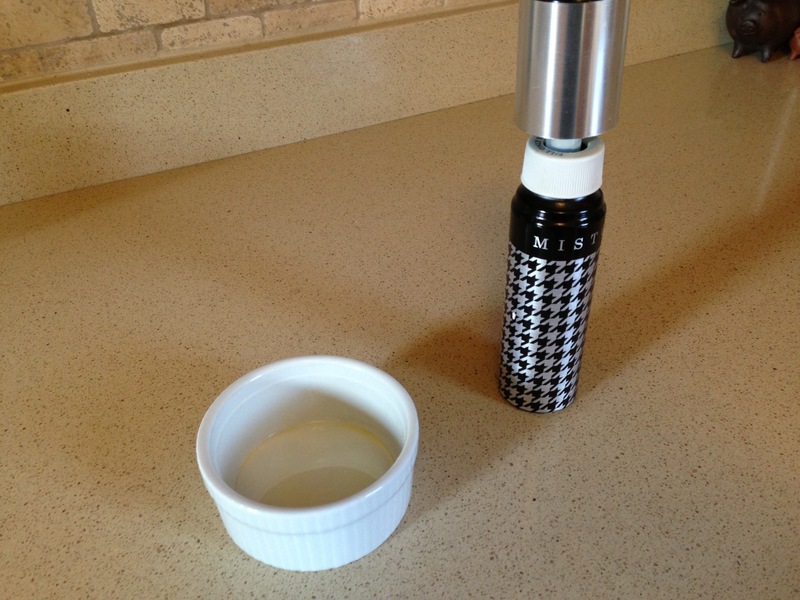 In this hack, you get dirty one ramekin and a fork. 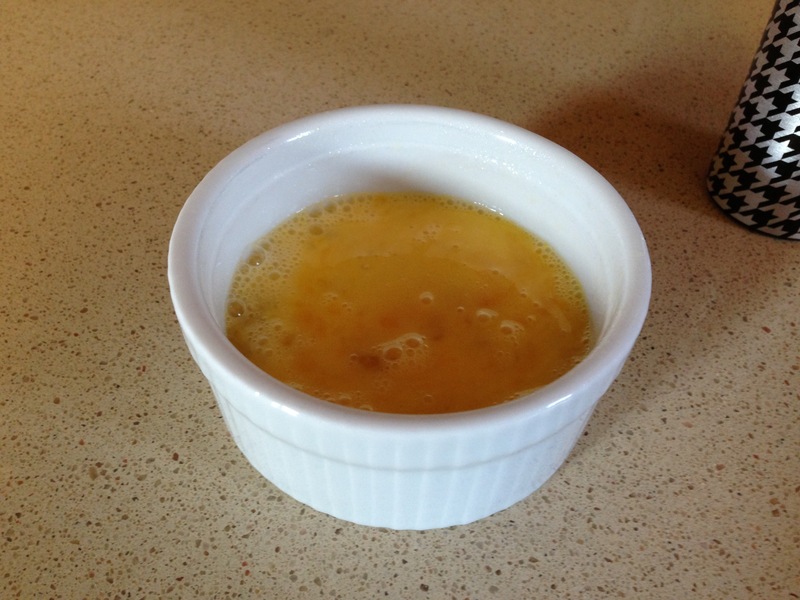 Step one: grab and oil a microwave-safe ramekin or glass dish that is approximately the size of the bread you plan to use. You can even use plastic if you are not wary of its notoriety and as long as it is microwave safe. Step two: break the eggs directly into the dish and lightly beat. Do not add anything yet to the egg mixture or it will all end up in the middle. 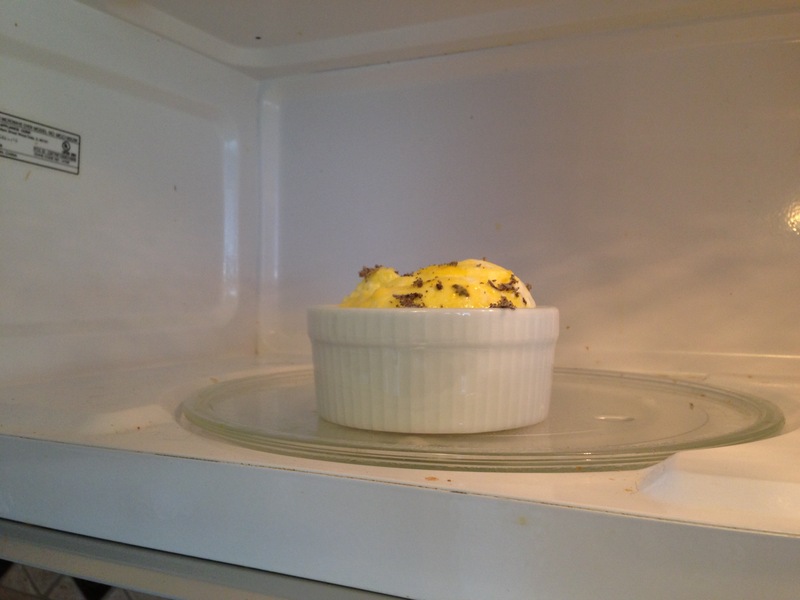 Step three: Place dish in microwave and start with cooking for 1 minute but keep an eye on the eggs. They will expand and it is a fine line between just enough and a mess in your microwave. However, only you know your microwave. One minute may not be enough. Cook until there is very little to no runniness. Start at a minute and continue in 30 second intervals. Step four: When you check after a minute or so and the eggs are mostly stiff, this would be the time to add herbs, salt, and cheese. Continue to cook until eggs are firm. The entire amount of cooking will let be between 1-2 minutes depending on the amount of eggs you use, the shallowness of your dish and the strength of your microwave. 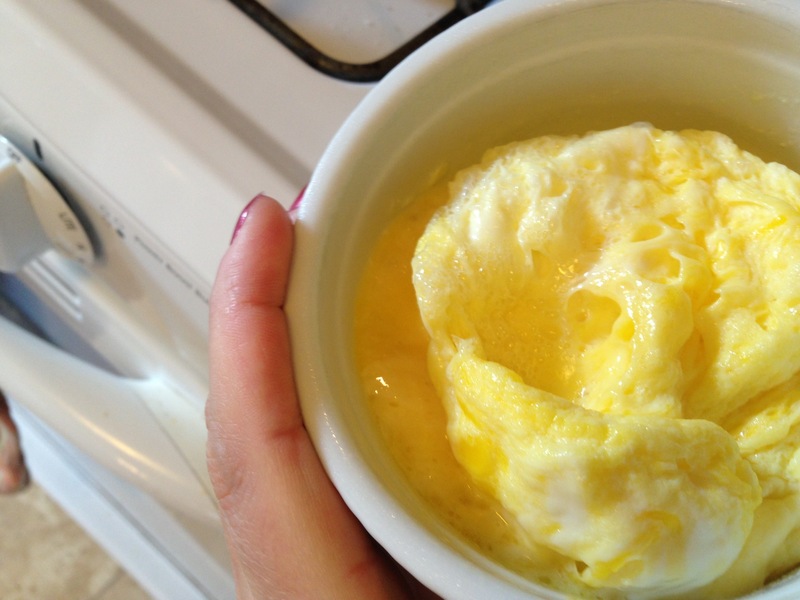 It’s pretty easy to know when you have overcooked eggs in the microwave– they explode. As long as you are careful not to have them blow up, you should be able to produce a great product! I added sage and salt in the delightful sandwich above. But the egg is essentially a blank palette just waiting for your creativity. 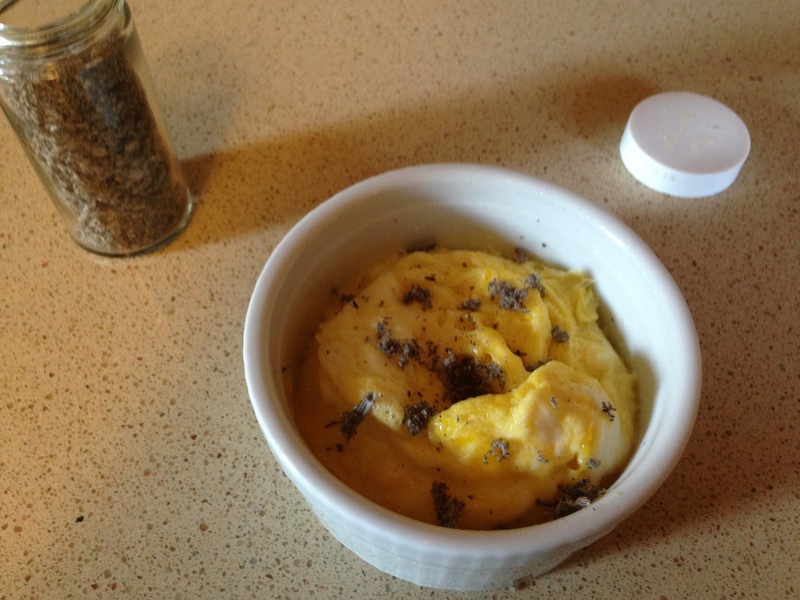 And now you can eggs-periment all the time since making egg sandwiches are soooo easy! 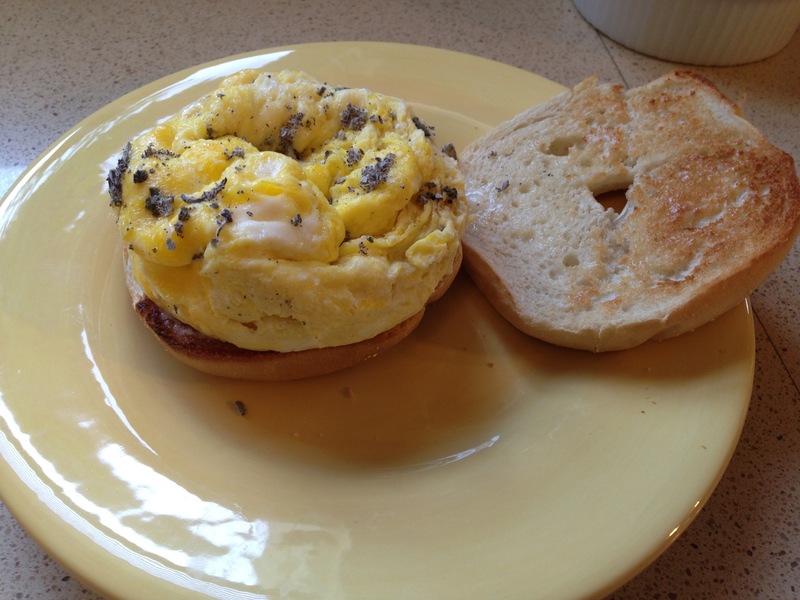 This entry was posted in Every Post on this Awesome Blog, Your Personal Health and tagged breakfast, egg, food, sandwich. Bookmark the permalink.